In Bridle, Antoni made a replica of the backpack she used everyday. 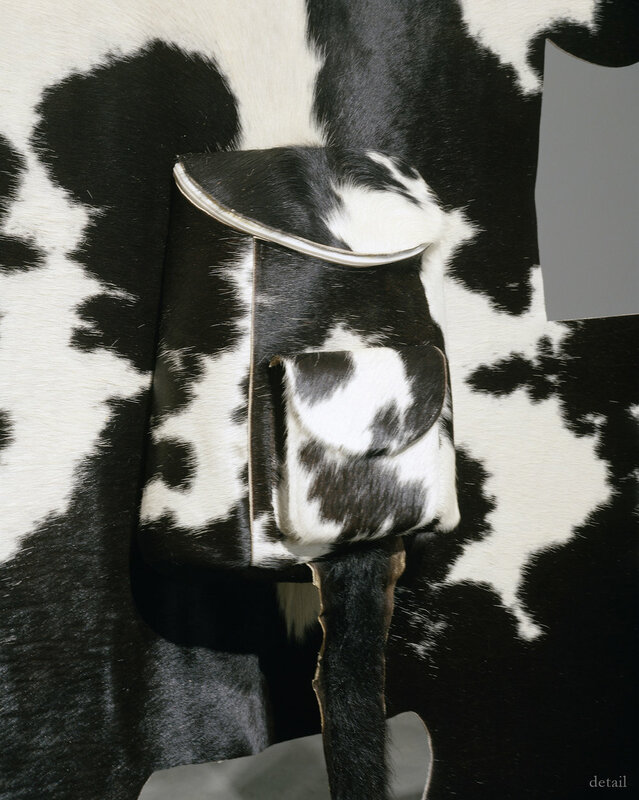 To render the backpack while maintaining its attachment to the hide was a way for Antoni to contemplate her relationship to the cow. 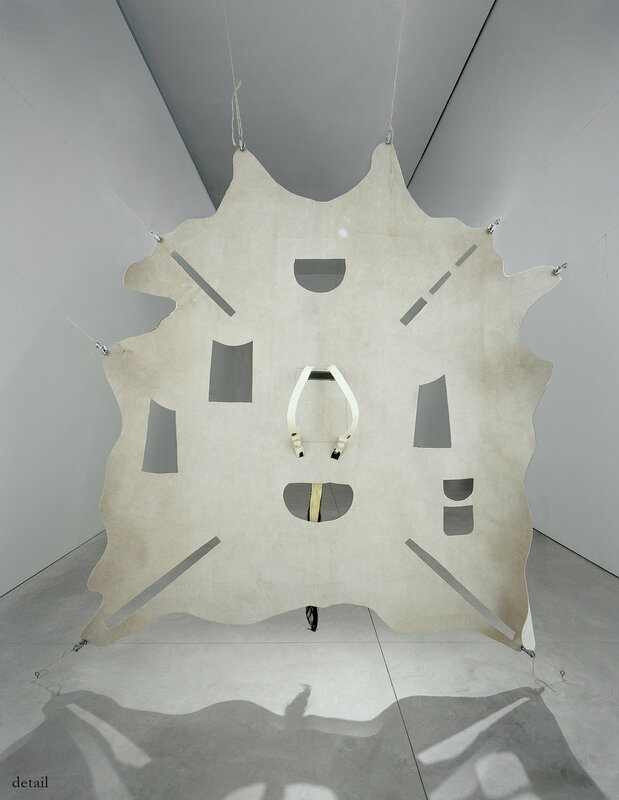 It makes clear the trajectory of the work’s production while still reminding us of its source. The effect conflates the space between production and consumption. 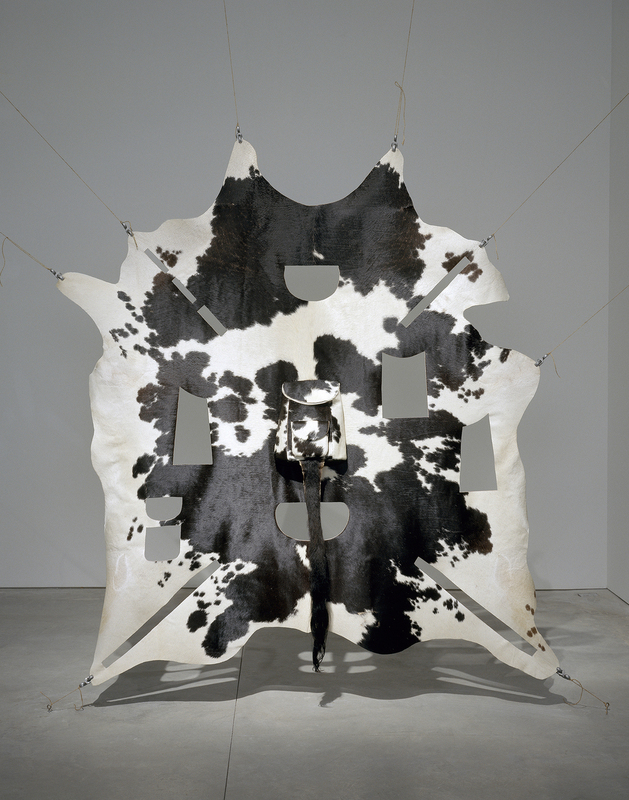 Walking around the back of the hide, the viewer can see the straps of the backpack at shoulder height, allowing them to imagine wearing the fate of the cow on one’s back. The appearance of the tail on the backup is perverse, in line with this desire for reanimation.